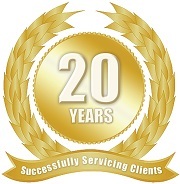 With over 20 years experience in placing and managing Insurance risks we are able to offer an all inclusive Insurance solution to those clients still appreciative of a personal service. Because service is so high on our list of priorities we are available to our clients 24 hours per day and 365 days per year. Our existing client base varies from night club owners and operators to importers of pharmaceutical machinery on a commercial basis and from every type of usual domestic risk to high net worth clients with unusual requirements for specified complex domestic coverage. Every client is afforded the same high level of service and identified to Clifton Insurance Consultants Limited by name rather than client number.